Interior decorating, vintage enthusiast style. 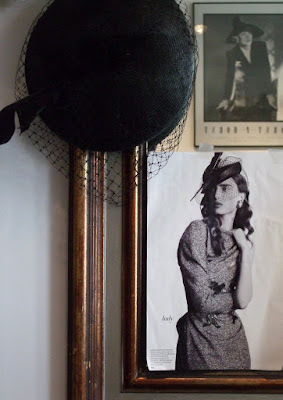 I'm trying to find a way to display my vintage hats, purses, shoe buckles etc without creating clutter in a very small apartment, or frightening away male visitors (albeit the majority of them are gay men who are more likely to borrow the accessories for a night out). When my [straight] uncle stopped by the apartment for the first time, he stood speechless in the main room, staring around in thinly disguised horror at the pink, silk, chandelieriness of it all, finally uttering: "holy chick house". At the time, I took it as a compliment, but now I'm working on creating some contrast - Demeulemeester biker boots balancing out 1940s floral headpiece, urban graffiti interspersed with Millais's Pre-Raphaelites, pink curtains making way for Indian fabrics and so on. Off to IKEA for storage ideas this weekend. I'll post photos if my mission is successful. Posted by la femme at 8:55 p.m. 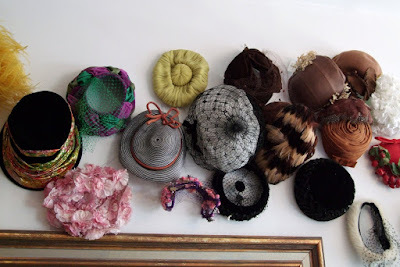 I love how you displayed your hats; so colourful and fun. Hats are wonderful. It's a pity that more women and men don't use them. 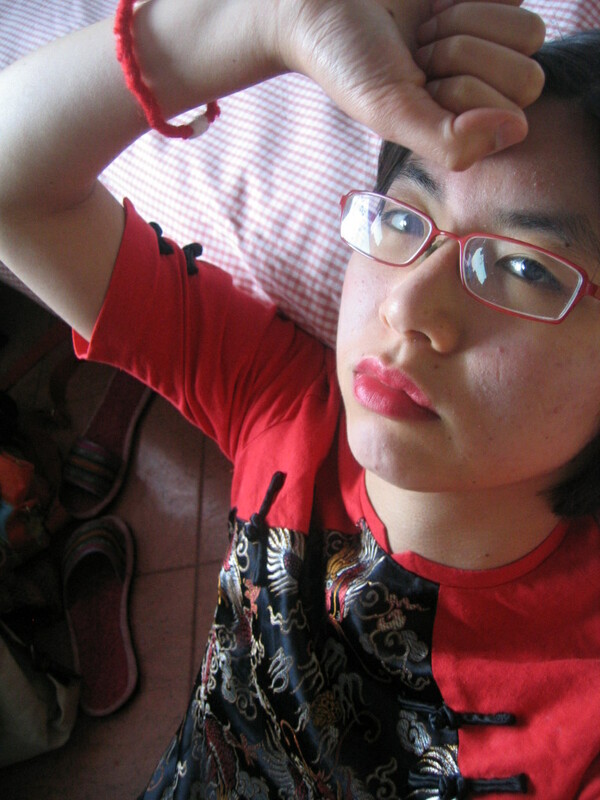 Stripped of the the polite necessity to cover one's head, it become so much fun to do. lovely story! i'm sure there is one straight man (more likely several) whose heart will go pitter patter over a young woman who loves her hats. I'm sure it will look amazing. Can't wait to see the final product! wow, that is lovely. i have a similar idea for my own place- soon to be, hopefully! good luck redecorating! now the question is how often do you wear your lovely hats? Beautiful, but are you not worried about moths getting to them?